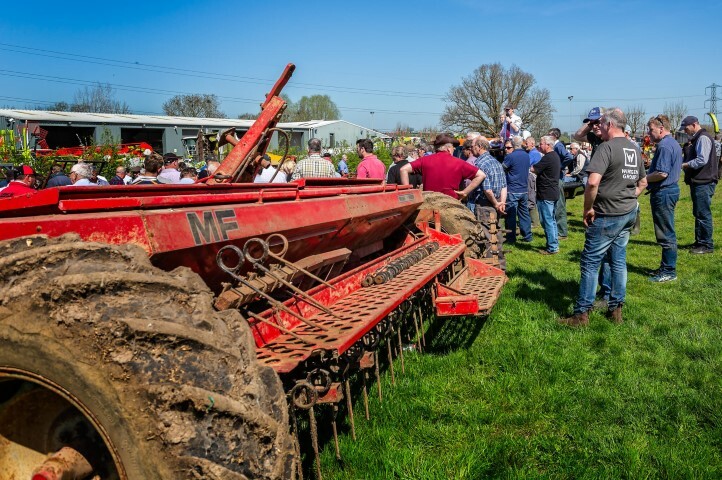 If you own a farm and you are looking to buy agricultural machinery, going to farm equipment auctions is more practical than buying a brand new one. It is common for farm owners to need specific equipment or tools and with the availability of surplus farm equipment, there are tons of alternatives to choose from. Here are some guides to help you purchase the right equipment for your land. Buy It Used or Brand New? Just like when buying a car, purchasing brand new farm equipment can be pretty exciting except when you have a limited budget. Buying brand new equipment may need third party financing because most of the latest models of farm equipment today come with a hefty price tag. However, buying used models from an agricultural equipment auction may provide a suitable financial option for you. Used farm equipment auctions usually offer a wide range of farm equipment to choose from at a much lower cost and provide you with an opportunity to buy the right machinery that is also ideal for your farm requirement. Before you decide to buy farm equipment, you need to know where you are planning to buy it. If you have already thought about going to a farm equipment auction, you may want to consider all your options to make sure you are not making a bad decision. New and used farm equipment are commonly found at auctions and because there is a surplus in supply, finding the right model that suits your needs will be a lot easier. Buying your farm equipment from an auction is a perfect way to get the machines and tools you need. You do not have to pay staggering prices and more often than not, it is very easy to find good deals that are sold at very cheap prices. There are lots of reasons why farm equipment is sold at auctions. One of the most common reasons is that there are sellers that need to sell fast and without a lot of hassle. Also, these sellers expect to get the best price for their equipment. And with plenty of choices in an auction, buyers are expected to do a little research of their own before going to an auction. This way, they can prepare themselves for what to expect when going to an agricultural equipment auction. Before heading to a farm equipment auction, you may want to conduct a little research on the value of the item you are planning to bid on. If you know the right market value of a particular item of equipment, you can establish a viable selling point based on the current industry trends. Look for a fair value and from there, you can negotiate your bids without going over your budget. As a buyer, it is a must that you inspect the used farm equipment for sale at auctions. Most of the farm equipment at auctions are sold as they are. To avoid buying a lemon, you need to take time in inspecting the items you plan to buy before involving yourself in the bidding process. This is particularly important because you are buying a used model so you may want to know how well the engine runs or if there are leaks or hitches in the mechanisms. Older machines have been subjected to a laborious life cycle in the farm so make sure you inspect all the vital welds for any sign of metal fatigue or cracks. If you do not have the right knowledge for this, you may want to consider bringing a mechanic to do the assessment for you. When buying used agriculture and farm equipment from an auction, there are certain things you need to consider to make sure you have a wonderful buying experience. Regardless of the type of equipment you are looking for, there are unspoken rules among auctioneers and bidders. Knowing these things will help you have a smooth bidding experience at the auction site. Majority of farm equipment in the market are built to last for a number of hours of operation in the farm. When buying from an auction, you must be aware if the equipment you are bidding on has been properly maintained or used properly by its previous owner. Even if you are buying second hand equipment, as long as it was well maintained beforehand, its lifespan and efficiency also increases. If you are joining an auction, you need to see the machine first before you start bidding on it just to ensure it is in good shape. You need to familiarize yourself with the tax rules in your locality with regards to purchasing farm equipment and machinery. You can take advantage of existing tax deductions for your farm, if you are qualified, every time you purchase farm equipment even if it is second hand. When buying used farm equipment, there are several things that must be inspected before finalizing the sale. Checking the machinery’s specifications and overall condition can save you a lot of headaches in the future. This is to ensure that it will meet the labor requirement you intend for it on your farm. You certainly would not want to buy something that will cost you a fortune on repairs and maintenance in the future. If the farm equipment you are planning to purchase has an engine, always make sure to check under the engine compartment. If possible, you can request to have the engine started so you can look for leaks and listen to find out if it is running smoothly. Also, make sure to check that it will comply with existing emission standard regulations for the type of engine the farm equipment has. You may also want to check the type of fuel it uses. Typically, going for diesel powered farm equipment and machinery is a practical choice because it is cheaper compared to gasoline machinery. While you are at it, you may also want to check the odometer and serial number to establish its make, model, and year it was manufactured. This is important if you want to get the right kind of equipment you need for your farm and know the precise number of hours the equipment has on its engine. If possible, inspect the entire equipment and pay close attention to how smooth or rough the engine sounds. If the equipment lacked the necessary maintenance, you will be able to tell it by the sound of the engine alone. You should also check the transmission, if there’s any, to ensure it is operating properly. If the auctioneer allows it, you can ask for a test drive. Because you are buying used machinery, it is crucial to check it for regular maintenance and assess its overall appearance. Look for dents and check if the paint is already peeling off. You may also want to look at its tire and see its usability. Most of the time, these could be indications that the equipment has been stored outside for longer periods of time. To see if the tires are already worn, check their tread and match it up against manufacturer standards. You may also ask when last the tires were changed because depending on how big the tires are, it can be very expensive. Before making a bid on a particular item of farm equipment, consider asking the seller or the auctioneer about the availability of maintenance logs and other pertinent documents or if there are any documentations and records of previous repairs. These documents can give you understanding about the quality of the equipment and the frequency of its repairs. The more you know about what you are buying, the better your chances of buying quality equipment that can last for a long time. Not all sellers have the proper maintenance documentation of their equipment. But on the other hand, you may still inquire from your auctioneer if there are any documentations submitted. A simple maintenance log and inspection list can save you from a lot of problems later on. When looking for used farm equipment for sale, it will be handy if you take into account the manufacturer of the equipment you want to buy. If it is an old model, you should stay away from machinery whose manufacturers are no longer in business. Finding parts and other replacements might be hard to come by particularly when its manufacturer has closed up shop years before. Repairs will certainly be difficult if you cannot find replacement parts. Also, its resell value may also drop lower than the price you bought it for because of lack of replacement parts. Buying farm equipment and machinery from an auction should not be so hard and tricky if you have enough knowledge about it. Asking a lot of questions before making any purchases certainly helps a lot and it makes your decision making a lot easier and straightforward if you know all the details about what you are buying. Bidding at auctions can be a lot of fun and if you are doing it right, you are certainly capable of buying good quality farm equipment at a much cheaper price.